Tis the season for leftover ham recipes! I hope everyone's holiday weekends went well. I am still exhausted from hosting Easter dinner. How ever at the same time it is great to have family and friends together especially if its with good food. There is like a bazillion versions of this recipe on the old inner-web. I have made them a few different ways. This one I came up with by adding honey to the buttery dijon mix. It makes a world of difference. It's zesty meets tangy and sweet and melted creamy swiss cheese seals the deal. In a bowl, mix together butter, Dijon mustard, honey, Worcestershire sauce, poppy seeds, and dried onion. Separate the tops from bottoms of the rolls, and place the bottom pieces into the prepared baking dish. Layer about half the ham onto the rolls. 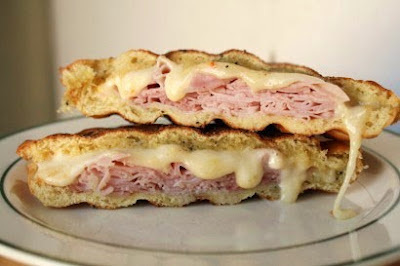 Arrange the Swiss cheese over the ham, and top with remaining ham slices in a layer. Place the tops of the rolls onto the sandwiches. Pour the mustard mixture evenly over the rolls. What an awesome leftover idea, love these so much! Ohhh Rina! These look fantastic! What is it about sliders that makes you want to eat ALL OF THEM in front of you?!? Amazing! I love hot ham sliders. These look so good! My mouth is watering - this looks so good! I'm visiting from the Wonderful Wednesday blog hop. This looks so delicious! I'm visiting from the Wonderful Wednesday Blog Hop. Aww Rina, you should have warned us before seeing these... look too amazing and can't reach them from here! Hi Rina! Love your recipe and photography - fabulous! Can't way to give this a try. Thank yo so much for linking up with us at Something To Talk About! 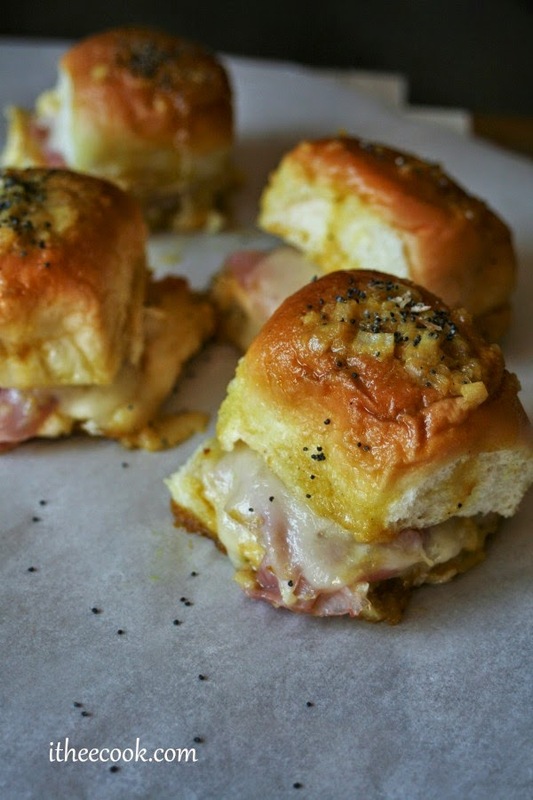 Rina thanks so much for linking these delicious sliders up at our Wonderful Wednesday Blog hop. I just love these classic sliders, a great slider for a crowd. Thanks so much for sharing with Full Plate Thursday this week and come back soon! 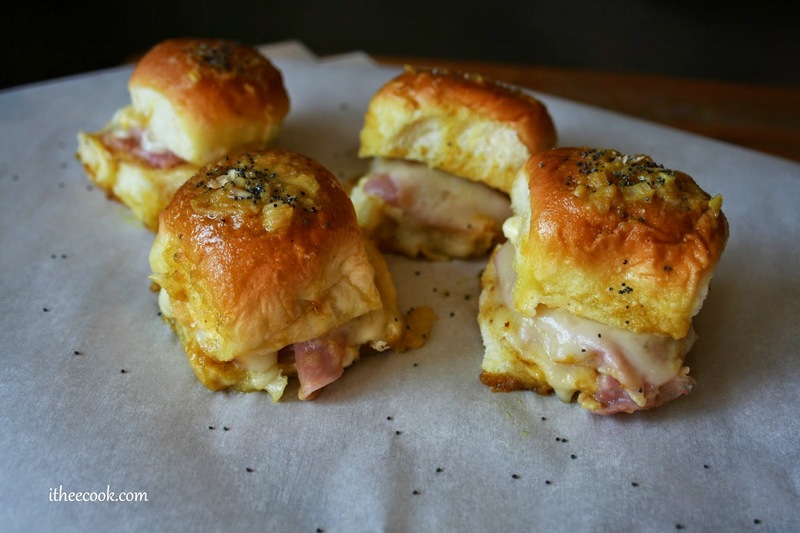 Hey Rina, I'm featuring your ham and swiss sliders on the 12th day of Christmas Series: Party Appetizers. It will be live this Saturday the 12th.